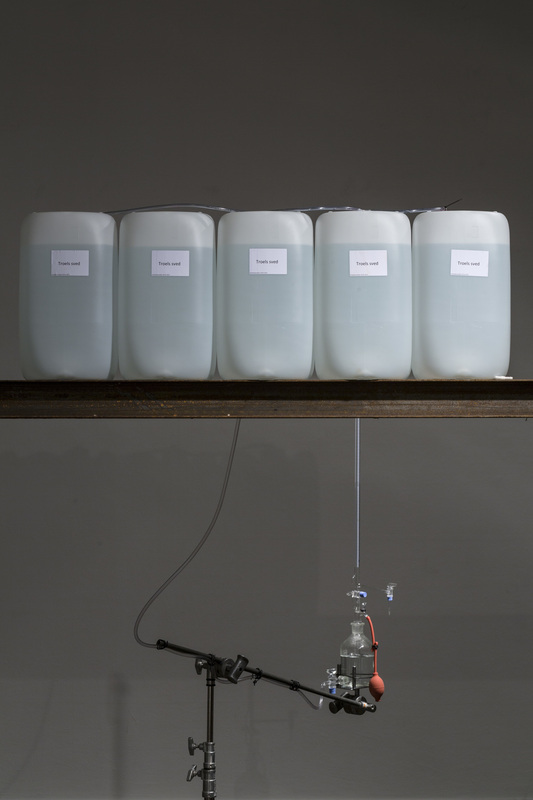 A recurrent theme in the work of Troels Sandegaard is an interest in the body and its interaction with physical and often invisible phenomena, like respiration, temperature and pressure. In Bodies and Bodies these bodily processes are visualized in works that incorporate the exhibition space and involve the viewer. 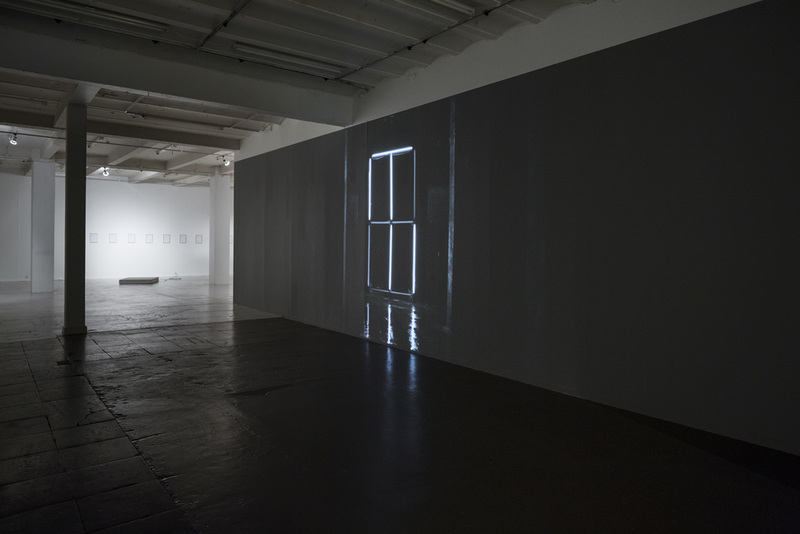 a time when we spend our daily lives in front of a screen and our physical experience of the world is reduced, the artist explores the relationship between the human body and its surroundings, as well as extending the boundaries of the classical self-portrait. 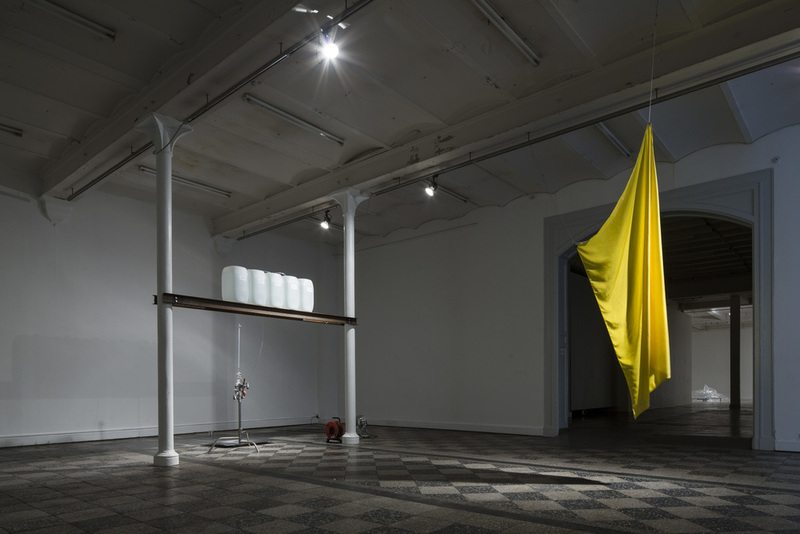 Several of the works relate or refer to Sandegaard’s own body, like the new work Self-Portrait Perspiration and Re- spiration, which consists of a large container suspended two metres above the floor of the exhibition space. From the container a liquid with the same chemical composition as Sandegård’s sweat drips directly onto the floor. During the exhibition period, the saline solution slowly forms a stalagmite that rises from the floor. The genre of the self-portrait is further investigated in Self-Portrait Naked – a heated concrete block that has exactly the same surface area and temperature as the artist’s body. Another central theme in the exhibition is the role of light in our experience of the world. 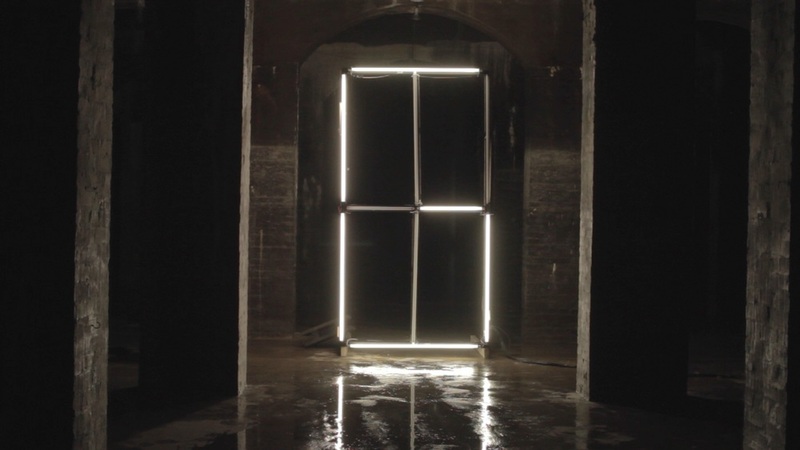 The film GLAMOUR reproduces the hypnotic flash of fluorescent tubes, breaking the darkness with the letters of the work’s title. Without light, the world apparently ceases to exist. The film plays on the irrationality of this view by highlighting the exchange between the psyche and perception. 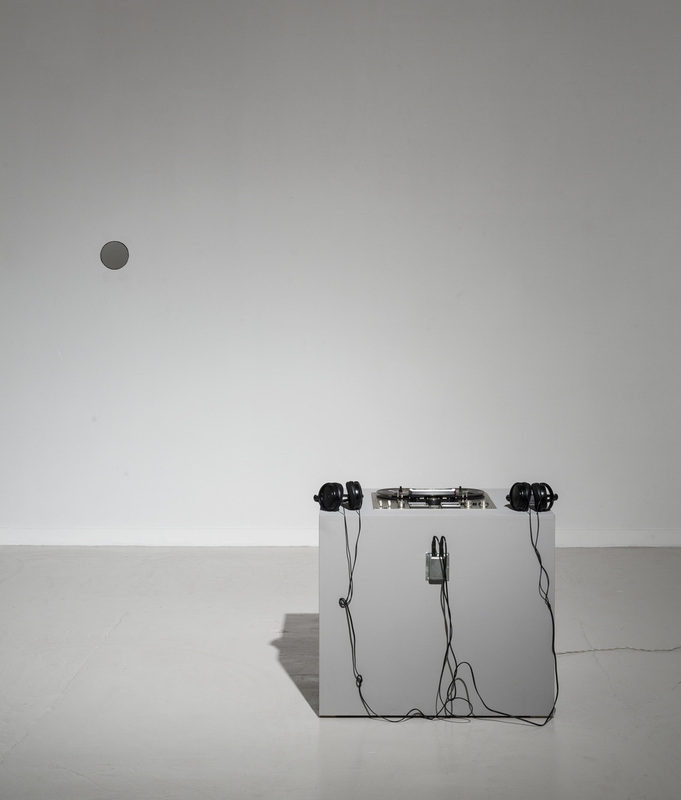 In Bodies and Bodies Troels Sandegaard explores the meaning and significance of physical processes, and how we participate in and influence them – both consciously and unconsciously.